A general view of Tottenham Hotspur's new stadium (Picture: Adam Davy/PA Wire). THERE was a time early last month when Huddersfield Town looked like being the visitors for the grand opening of Tottenham Hotspur’s new £1bn home. As exciting as this prospect would have been those supporters who remembered the last time the Terriers had helped cut the ribbon on a new stadium perhaps felt it wise that someone else be handed the honour of being the first guests to N17. Crystal Palace, in the end, got the gig, sparing Huddersfield a repeat of the 3-0 defeat that included red cards for Pawel Abbott and Adnan Ahmed when Doncaster Rovers opened the doors of the Keepmoat on New Year’s Day, 2007. Town’s turn in north London comes tomorrow and those 3,300 fans making the trip are in for a treat, at least off the pitch. The Tottenham Hotspur Stadium, to give football’s newest venue its official title, may be located, in part, on the old White Hart Lane site. But that is where the similarities end. Not only is the 62,062 all-seater capacity almost double the size of the old ground, but the facilities are way superior to any others in British sport. These include a single-tier South Stand that is 34m high and capable of holding 17,500 supporters. Spurs took inspiration from Borussia Dortmund and the formidable ‘Yellow Wall’ that stands at one end of the Westfalenstadion. Jan Siewert, the third head coach to take his team to Tottenham’s new home, arrived at Huddersfield from Dortmund, where he coached the Under-23s. “You mentioning this gives me goose bumps,” he said when asked by The Yorkshire Post about Tottenham’s attempts to recreate the ‘Yellow Wall’ in the capital. “To be fair, when I was Under-23s coach I really liked it. My position was mainly in the opposite stand so I could watch it. Dortmund have great supporters and it is a good inspiration for the players. “Each club has its own identity, so Tottenham will have had reasons why they chose this stand. “But, for me, the ‘Yellow Wall’ is amazing. I do not know if it is the loudest, but I do get those goose bumps. 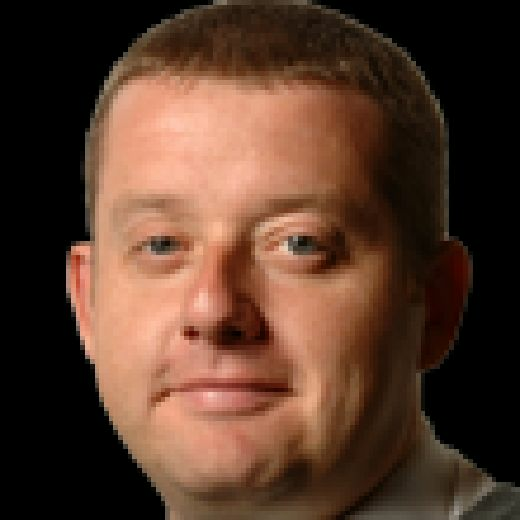 Whether a visit from the Terriers that is sandwiched between two Champions League quarter-final ties against Manchester City will get the noise levels rising tomorrow lunchtime remains to be seen. But Town, relegated a little under a fortnight ago, are given little chance of causing an upset among the new state-of-the-art surroundings. One bookmaker is offering 15-1 to punters willing to back an away win, a price that if anything looks a bit stingy considering Town have lost 18 of their last 20 league outings. Harry Kane, who after netting four goals in his two appearances remained the top Premier League scorer at the John Smith’s Stadium until November last year, is out with the ankle injury that could have ended the England captain’s season. Many would see the absence of Tottenham’s 24-goal top scorer as a bonus, but Siewert instead believes this makes Town’s job that bit harder tomorrow. “It is interesting because the injury definitely changes our plans,” said the 36-year-old head coach. “With him, they play in a certain way. 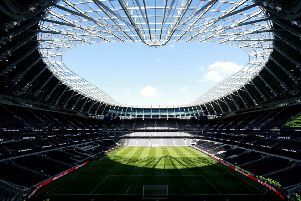 Siewert admits the blow of relegation being confirmed continues to linger over his squad meaning one of the mind-boggling statistics associated with Spurs’ new home is perhaps most pertinent. Namely how staff can now pour an incredible 10,000 pints per minute. Huddersfield’s travelling fans may be glad of this fact tomorrow when looking once again to drown their sorrows.